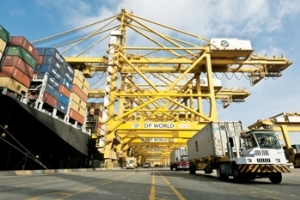 DP World’s flagship Jebel Ali Port recorded a world-leading 131 moves per ship per hour in 2014, up 10 per cent from 119 in 2013, according to the latest data. Industry analysts Journal of Commerce compiled the port productivity data showing the port’s leading position. 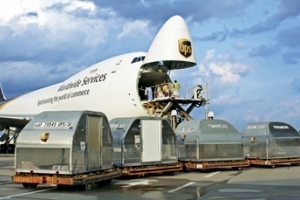 Abu Dhabi Airports’s ground handling service provider DhabiJet has won the RA3 certification for cargo operations at Al Ain International Airport. The ‘EU Aviation Security Validated Regulated Agents’ RA3 certification is a supply chain security initiative designed by the European Union. 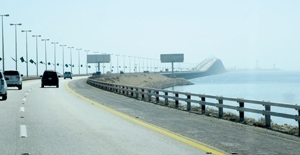 Measures taken by the Bahraini government in recent months seem to be paying off as the waiting time for trucks crossing the border into Saudi Arabia at the vital King Fahad Causeway has dramatically decreased, according to the Gulf Daily News (GDN), our sister publication. The cut in the crossing time was noticed during Ramadan. A Bahraini ship bound for Italy from Saudi Arabia was among the first to pass through Egypt’s New Suez Canal in a test-run ahead of its official opening. Saudi cancels train deal TALGO has confirmed to the Spanish Exchange Commission that Saudi Railways Organisation (SRO) has cancelled a $201 million order for six 13-car diesel trains. The trains were to be mobilised for Riyadh-Dammam services. SRO said the order was cancelled as part of a re-evaluation of its rolling stock requirements.